Our Mermaid Craft and DIY Mermaid LOVE continues! 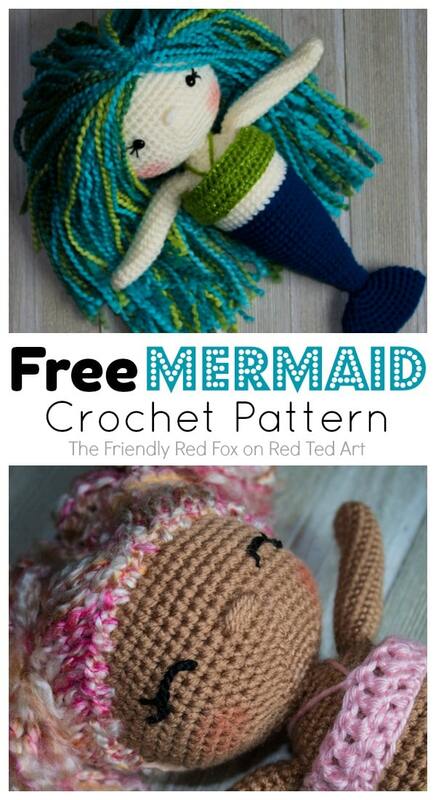 Today I share with you a fantastic Free Mermaid Crochet Pattern from The Friendly Red Fox. 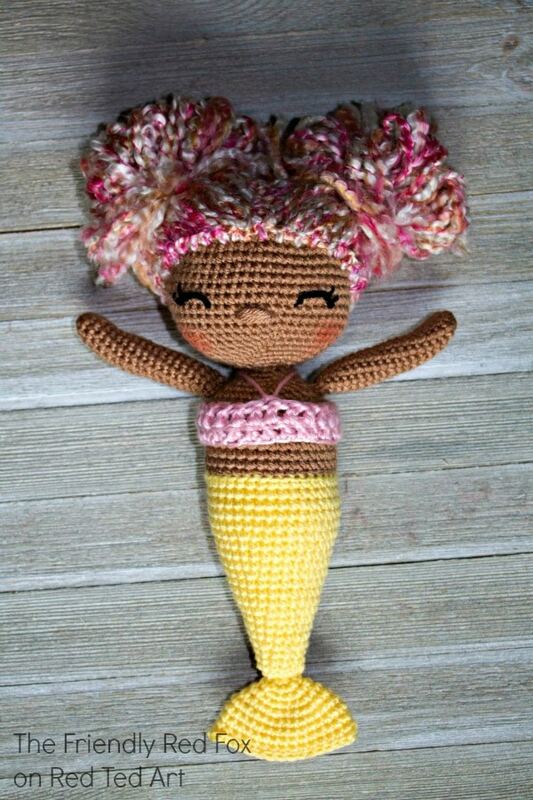 Oh, it simply is the most adorable Crochet Mermaid out there and I am so excited to share it with you! 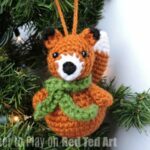 The Friendly Red Fox has lots of fantastic crochet pattern on her site, etsy and on Ravelry. Many are free! But do remember that it takes time to develope, write and photograph patterns, so buying is a fantastic way to support creators online! They are not expensive and “every little helps”!! And the purchased patterns are ad free and can be easily printed and stored at home. A little while ago, I taught myself to crochet (How to Teach Yourself to Crochet) and I am so excited about giving this little doll a go! 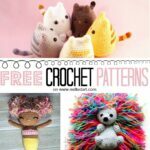 Over to the lovely Kali and her GORGEOUS Free Mermaid Crochet Pattern. 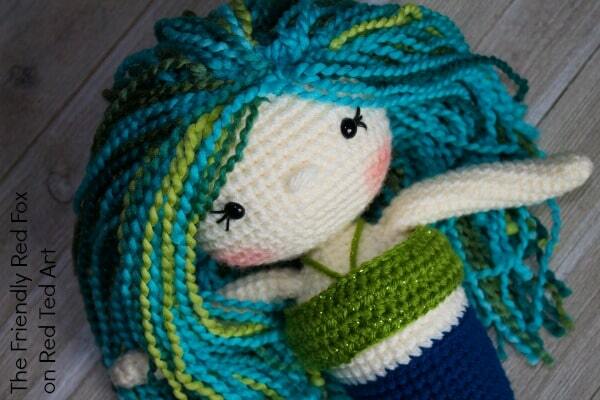 If you love mermaids, you will fall in love with this crochet version. 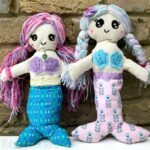 The Friendly Mermaid Doll is a little under 12 inches tall and 4.5 inches wide. The tail, body and head are made in one piece with the fins, arms, and hair attached separately. Please note this pattern is only for PERSONAL USE. 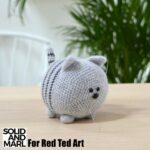 Please feel free to make as many items as you wish for yourself, or as gifts. You may sell items made with this pattern but PLEASE LINK BACK OR GIVE CREDIT TO ME AS DESIGNER. In no way can you share, reproduce, or sell this pattern. Please respect my rights as designer. 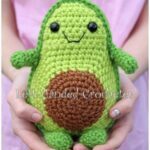 Read through the entire pattern and all of my free crochet doll tutorials before you begin. 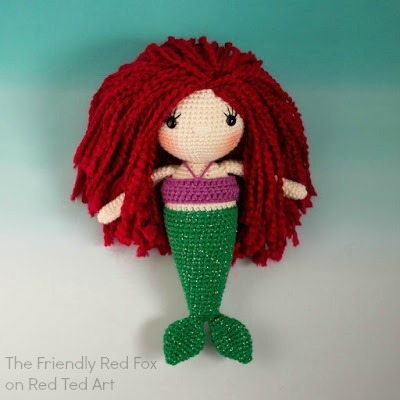 In the right colours this would make a fantastic free Ariel Doll Crochet Pattern, don’t you think? Magic Circle– Make a loop, leaving a long tail to work with. Insert hook in center of loop, yarn over and draw up a loop. 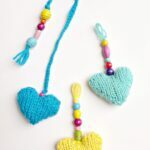 Yarn over, pull through to make the first chain (this does not count as a stitch!). Continue to crochet over the loop and tail with the number of stitches called for. (If you need 6 SC, then crochet 6 SC inside the ring.) Pull the tail to close the circle. 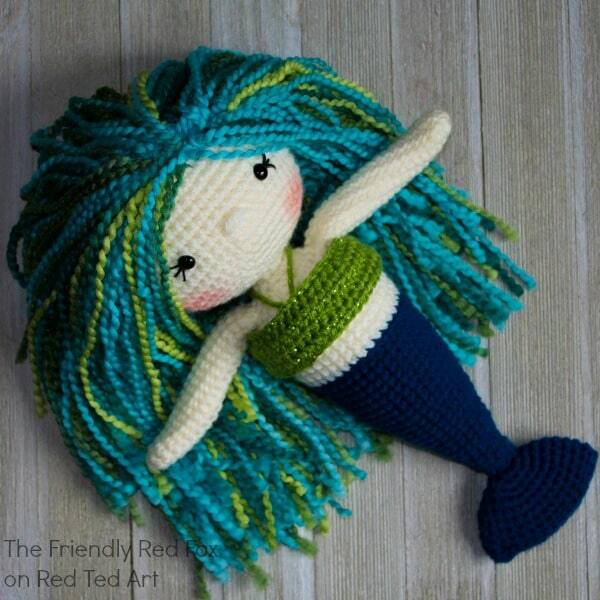 Begin with the tail and body of your Mermaid Crochet Doll! From here we will be increasing the head. From this point I am resetting the number on the rounds. Round 37 of the body is now Round 1 of the head. It will be easy to see and helps for eye placement and general counting. Place the safety eyes in between rows 13 and 14, nine stitches apart. Sew on eyelashes here. This is also a good time to place the foam roller or dowel if you are using one. Make sure to stuff the neck around the dowel as well as you can. Fasten off and carefully sew the remaining hole closed. Leave a long tail to make the nose. top of the fin. Sew on to the tail. Fasten off and leave a long tail to sew with. Make 2. Attach to the bottom of the mermaid body. They will both fit at the very end. Stuff very lightly (and not all the way to the top), flatten the tops, and attach to body. I sew them on between rows 34 and 35. 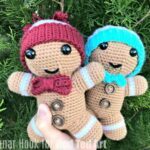 The pattern will be very different depending on what yarn and hook you use as well as stuffing preferences… But I chain to the desired length (make sure it wraps around the doll JUST BARELY. 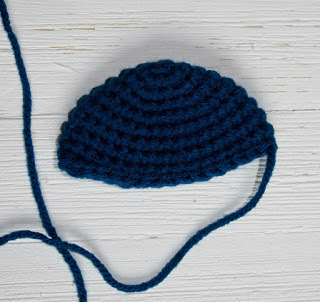 It will grow a little as you crochet into it) and add SC or HDC rows to desired length. I did 4. Then sew it up! Then I use a piece of yarn and connect it to the middle front and tie in the back like an actual swim suit top! Now you need to add some hair! 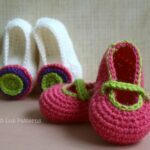 This post includes a step by step tutorial and recommended yarn! 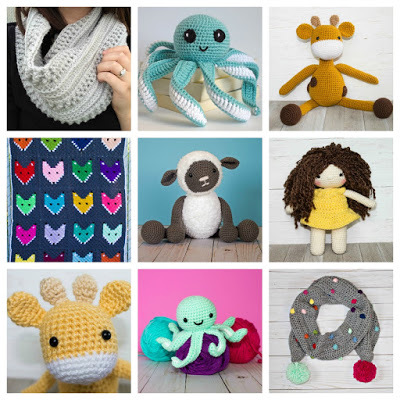 Be sure to check out my other FREE patterns!